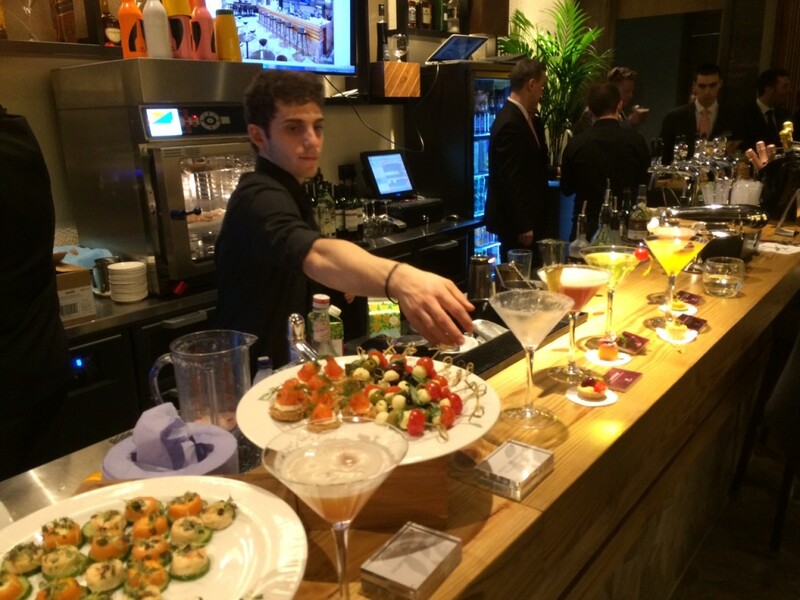 On Tuesday evening I was in Terminal 2 at Heathrow for the opening party for the Plaza Premium arrivals lounge. This is the sister lounge to the classy Plaza Premium departures lounge in Terminal 2 which I have covered previously. You can buy passes in advance via the Plaza Premium website. It is situated directly next to the exit from the customs area in Terminal 2, directly opposite the walkway into the arrivals level from the car park, tube and Heathrow Express. 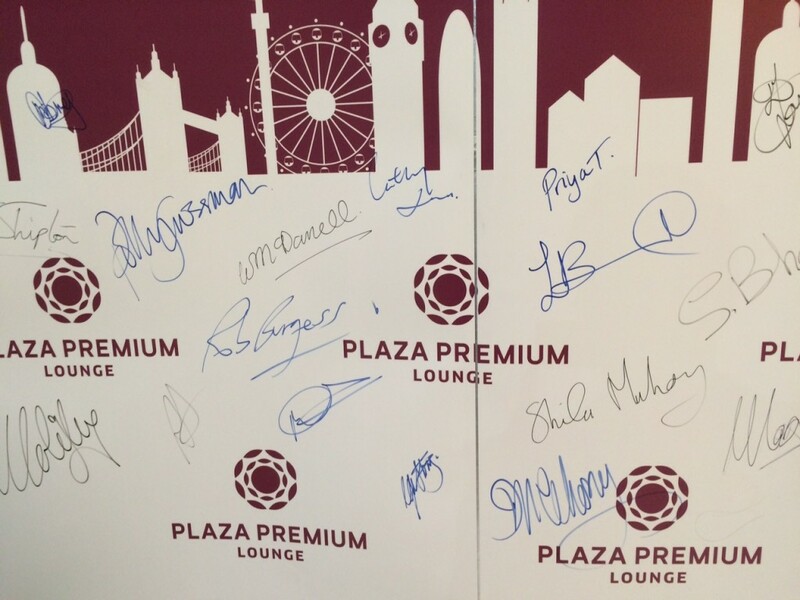 Plaza Premium has taken a different approach from its departure lounge. The main area comprises a bar with a tapas-style food offering as you can see in the photos above – one from the party and one PR photo. This is a relatively modest space. The spa and shower area is huge in comparison. There are eight shower suites and a number of massage and spa suites – the massage suites can be converted into day rooms for sleeping. 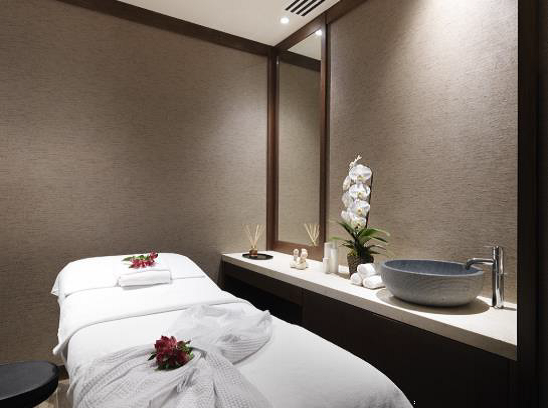 The quality of finish is very high and the spa uses organic, chemical free products from British brand ILA. If you arriving into Terminal 2 on a Star Alliance flight it is worth a visit. If you are arriving into Terminal 1 or Terminal 3 then you can walk to the lounge via the underground circulation area where the trains are. If you are coming into Terminal 4 or Terminal 5, you would need to take the tube or train to the Heathrow 1-2-3 station. Basic entrance is £25 including VAT. It is free if you have a Priority Pass card (another benefit of Amex Platinum, or you can buy one directly) or a Lounge Club card, which comes with Amex Gold. One off visits can be prebooked via the Plaza Premium website. The shower rooms and spa treatments are charged separately if you pay on the door to enter. According to the comments below, anyone who use a Priority Pass card can use the showers free of charge. A lounge coming to Terminal 5? The speech from Mr Song Hoi-see, founder and CEO of Plaza Premium, contained an interesting titbit. As I have written before, Plaza Premium has a Terminal 4 departure lounge under construction which will open in the Spring. He also revealed plans to open a Terminal 4 arrivals lounge. In addition, though, he said that the company was in discussions with Heathrow about opening lounges in Terminal 3 and Terminal 5. A Plaza Premium departure lounge in Terminal 5 would be a major move. At the moment there is no third party lounge in Terminal 5. 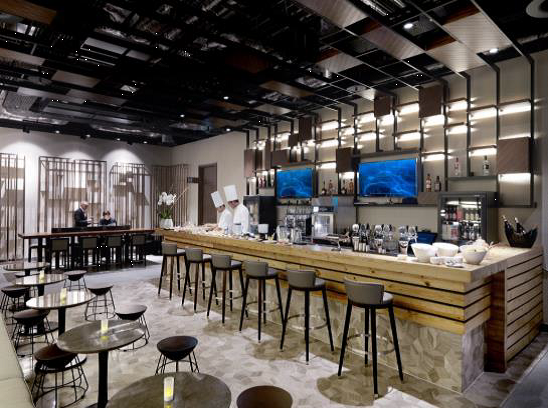 Whilst we are presumably looking a couple of years ahead, the idea of an independent lounge offering in Terminal 5 – especially if it is of the high standard of the Plaza Premium departure lounge in Terminal 2 – is exciting. By coincidence, US airline Delta opened its invite-only arrivals lounge in Heathrow Terminal 3 on the same day. You can learn more about that in this Business Traveller article. Born on 25th December? Have a free hotel stay! Looks like a nice way to burn the 2 free lounge club passes I struggle to use. Might also be a better alternative to the Gold Circle lounge when flying Little Red out of T2. Plaza Premium is a lot better than Gold Circle, the only benefit of the latter is huge amounts of natural light. How many free entries do you get with Barclays Airport Angels?